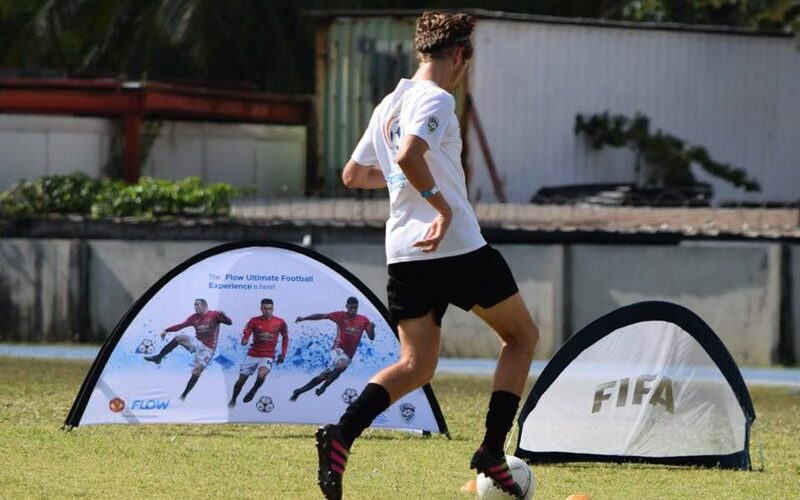 The Region wide launch has already taken place in Jamaica and Caribbean football clubs and coaches are busy preparing youngsters to come out for the Caribbean Football Union (CFU) endorsed event so they can get a chance to be seen by some of the world’s top coaches and Manchester United Legends. Manchester United Ambassador, Dennis Irwin accompanied by Manchester United Soccer School (MUSS) coaches will make appearances at various venues during the first phase through to its culmination in Trinidad on Monday, March 26, 2018. “What an opportunity! When I was a young footballer myself, I’d have given anything to have a chance like this – complete access to legends and coaches we’d only see on TV. With Flow Skills, today’s talented young Caribbean footballers not only get to meet these coaches face-to-face, but also to get tips and advice from the coaches and legends of the great game during ‘All Star clinics” said Garfield Sinclair, President of Cable & Wireless Caribbean, which operates the consumer brand Flow in the region. In 2017, Marcus Lake and Sheldon Harry, were selected from the preliminary round, having gone through a series of specially designed skills tests recommended by MUSS and judged and delivered by BVIFA coaches. to advance to the second phase, a two-day skills session in Trinidad and Tobago. This time around the door will be even more open for everyone to reach that dream as with so many players departing from the Territory after the twin Hurricane devastation, someone new, perhaps even a previously unknown talent will emerge at the Skills Challenge, but more importantly all the youngsters will get the chance-of-a-lifetime to participate in a talent development football camp courtesy of Manchester United and Flow.